← My Super Bowl Ad! Previously: Gina began her final defense against the suddenly-immense Questing Beast. Every few seconds the Beast tried to free itself by jerking its head to the left or to the right. When it did this, all Gina could do was dig her fingers and heels into its bark-like skin and hope not to be hurled away. When it stopped, she used the moment to slide a little further forward on its massive muzzle. Splot! Something slimy struck her face. What the…how dare they… Wait, where am I? She wiped a clump of sod from her eye, then looked down to her left. Zack and B’frona were flinging mud at her. The Beast jerked its muzzle downward. There was a crack like a branch breaking in a storm, and then the creature yanked its head violently upward, hurling Gina into the air. She landed with a face-bruising thud, but when she looked up, she was only a few feet away from the Beast’s eyes. She pushed herself forward and drove the jeweled dagger into the diaphragm. Amazingly, it ripped like gauze! Red-green pus began gushing out of the opening, hissing like a tangle of vipers, burning her pantlegs. She scrambled back. The Beast’s face began to dissolve: huge platelets of skin floated away, revealing liquefying bones and melting fangs beneath. Its tongue crashed up through its disintegrating skull and smacked against Gina like a rotting whale carcass. Before she could jump, she was thrown from the Beast’s crumbling jaws. Her fall was broken by Zack and B’frona. They hit the ground hard. Nevertheless, in a moment the boys had leaped to their feet and were attempting to drag Gina away, but their mucous-covered hands kept slipping off her wrists. “The moment you pierced the Beast—“ B’frona began. “—the fire turned to this,” Zack added with disgust. He and B’frona were covered in blood-streaked sputum. and finally disappeared with a ludicrous SPLOOT. Thoughts: In the end, evil turns out to be transitory, even illusory. It cannot remain where it is not invited. 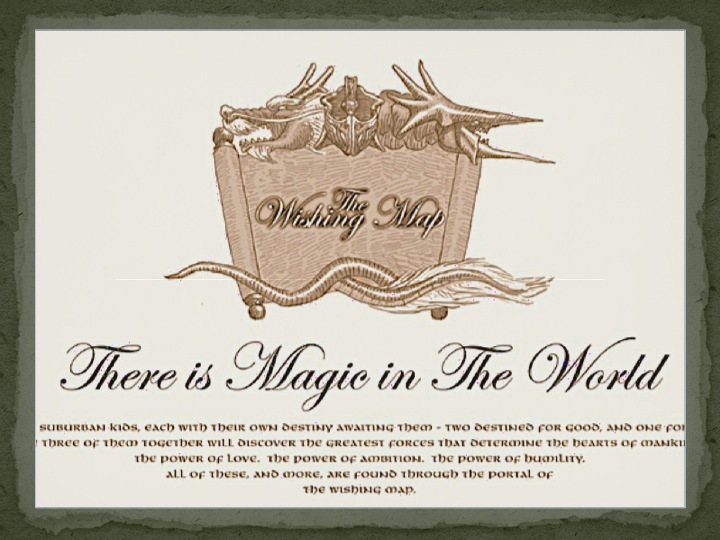 To read The Wishing Map 132 click here! This entry was posted in Culture, Story Power, The Wishing Map and tagged battle, danger, dragon, evil, fantasy, hopeless, power. Bookmark the permalink. In the end, evil turns out to be transitory, even illusory. It cannot remain where it is not invited. Yay!! The perfect end to a horrible monster!! Thank you!! So now I can’t wait to find out what happens next now that Gina has fulfilled the quest! Excellent story!